Hi Lizzy! Tell your nana that she's a great lady and we love her! Kyle is doing so much better on his new food. His tummy really likes it! Kyle is almost old enough for his make a wish. We're wondering what we should do. Kyle doesn't speak yet, so it's really hard. Hi lizzie, Mathieu and I wanted to say hi and send our love!! Princess: Its getting to be the holidays and its going to be so much fun for you!! I can not wait. You are a very special little girl and I love you sooo much. Hi Lizzy! So glad that I finally got to meet my extra special birthday present. Uncle Jim & Cuiser & I were so glad that you were able to come & spend time with us in Florida during your Make A Wish Trip. We were so glad you liked our presents. Had so much fun going to MGM studios with you too Elizabeth. I noticed how quick you were to captivate anyone who looked into your sparkling eyes & smile. You have such a bright aura around you that anyone who spent time with you would forget the world for awhile & become attracted to your contagious smile! Thank you for sharing your smile with us! Can't wait to hear your cute giggle on the phone. Miss you so much! Love, hugs, & a whole bunch of big smiles, Aunt Rita,Uncle Jim & Cruiser too! Hey Elizabeth-thank you so much for stopping by KY and seeing us on your way home. I and the kids enjoyed heving you. Adam tried so hard to give you the right toy. I know you like Alli's American Girl doll. I will try and work on that ! Thank you letting me color your nails. You look so pretty! I miss you sweetie! Luv ya! Hi Princess! Kyle is watching Jonah a veggietales movie while mommy catches up on all of her "kids". How has your week been going? Kyle is doing well. It's going to be very cold tomorrow, so no outside time. I can't believe we're already back to that. Take Care! Hey sweetie! Wow the website is so you! Thanks for putting us in the photos. You are a special part of our lives. LOVE the photos of your birthday. Sorry we missed it! Sending off your present, hope you like it! love ya-Alli, Aaron, & Adam, too! Hi miss Lizzy! we're praying tonight for your trip tomorrow! we know God and your angels will be taking care of you and your grandma. Stay strong and sassy sweet girl! Hey, how come Kyle isn't on your friends page? he's jealous you know! love jana and kyle gundy, sma type 1, now 23 months! Oh Lizzy this is great! I love the changes that have been done to your guestbook, and think it is just perfect for you. I can't wait to see you in a couple of days. I am so excited, and Ian is too. Many hugs to you sweetie. Hope you had fun on your birthday pretty girl! 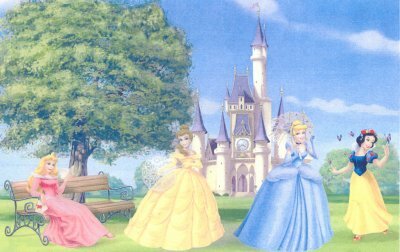 I love your new princess site. HAPPY BIRTHDAY ELIZABETH!!!!! HOPE YOU HAVE A GREAT DAY SWEETIE. LOTA OF HUGS AND KISSES FROM PA! Happy 3rd Birthday Elizabeth!!!! I hope you are having a great time today!! I just love seeing your smiling face on all of your pictures. Love, "Aunt Linny"
HAPPY BIRTHDAY! 3 years old! Way to go! I love your new website! You are going to have a blast at Disney! You will be the most beautiful princess there! Tell Nana to e mail us, we live so close to Disney! Hope you have a great DAy to day! I hope to see you next month. I miss you so much. I think about you a lot. I can't wait to play with again. Many hugs and kisses. Love Ian. Miss Elizabeth!!! Thanks for signing my guestbook, it was so nice to hear from you and your grandma! We can't believe how BIG you have gotten, WHERE did the time go??? Tell your nana that we want to see lots of new updates on your site too! (Last "update" we saw was from 2004. Hint, hint!) MJ and mommy are still working on my site... Are you guys going to be at the FSMA conference next year? We are going to try to make it. It is so close to you all, we hope to see you there. We are glad you are doing so well, we think of you and your family often too. We just wanted to let you know we stopped by and enjoyed looking at all your pictures (but we always want to see more!). Arturo's daddy, Tim, has fallen in love with you from seeing your pictures. He thinks you are a very pretty princess and he especially likes the pic of you with all your puppies. He has a pit bull named Shorty who is his baby and he said he will take a picture of her with Arturo and send it to you, okay? Tell your grandma we are in the middle of moving and the decent computer is already in our new house (we are not yet) so we will have tons of new pics to send her after we get settled in there. Thanks for thinking of us! (((HUGS))) from Kansas!!! Hi Lizzy! We stopped in to check on you! It has been a while bit we are always praying for all of our SMA buddies. You look so great. I read your article. It was wonderful! Mommy and grandma love you so much and are doing such a great job! Of course they have the best girl in the world to work with! Keep on doing great! Hugs from Casey and I! Elizabeth you never stop amazing me!! You are growing so much!! You have such personality lately. You are doing all sorts of things we never thought you would be able to do. You are the MDA Ambassador for Central IL!! OH my gosh!! People are watching you and learning from you. We are getting the word out how to help other kids like you!! You are the light of my life and I thank God every night for you being a part of my life. Continue to grow ,learn and show people how wonderful you are!! Love you sweet-heart!! Your "Nina"
Miss Elizabeth you looked so big in the new chair that you were fitted for. I had fun trying out the new potty chair with you today. I also enjoyed playing on the computer with you today. Love you a lot. Very nice & helpful web-site. My sister Tina told me about the link. My niece Allu was recently diagnosed with SMA too. We can only be strong & pray for these precious children that the cure will be here soon. Had a great time with you on grandma's b-day. Alli, Aaron, and even Adam just adored you. I am just amazed how happy and smart you are. and Your eyes-so big and full of life. Keep smiling sweetie! Elizabeth is very smart and funny. And she is my cousin. Hi My little princess. You are getting so big. I love you so much. Hope you are not going to be stubborn for the MDA doctors and all the nurses tomorrow. You are going to be my little TV star. I am so excited for you that you are going to represent Central Illinois for the MDA(Jerry's Kids). Hi Elizabeth, We just wanted to let you know you are in our heart. We wish the best for you to come over the years, and we hope that someday you can come out and play. We have a picture for you, love always aunt megan & cousin Taylor. Hello! I came across your website when I was looking for the word 'BiPAP' in Google. I am originally from Ukraine, and has been living and working in the UK for the last 2 years. So I am sitting here (I work for National Health Service) and key in some data, and there was this BiPAP word... I decided to check what it meant (I am not a doctor). And I found your website! I just want to say that I admire your strength and your wonderful children! May God help you in your fight and give you many more years together. My thoughts are with you! Hi Elizabeth and Family, Still sending prayers for you and your Papa. We know your smile, Elizabeth, will give him all of the strength and encouragement he needs. Thanks for signing Hayden's guestbook (www.caringbridge.org/visit/haydenmac). All our love to you! I read this. And you hold on to that little angel as we are praying for her. We used to live in Pontiac and we now live in Arkansas. I came across this out of the blue. Will have everyone down here to pray and have THE LORD to wrap HIS arms around her and keep her safe.. Thank-you for not giving up on our LORD as HE does do miracles. May he give you strength and guidance thru all of this. I have been reading about Elizabeth since 8-16-05 the day my family found our that my 3 month old great-niece had SMA type 1. Hailey was with us for 5 months and 1 day she passed away on 10-18-05 one day after her 5 month birthday. She is our precious angel. Reading about Elizabeth gave us hope that Hailey would be with us longer than she was. But it was her time and now she is in heaven with no pain. I pray for a cure everyday. God bless you all. Elizabeth you are so amazing and I love you very much!! I pray our trip goes well next week!! This past weekend I was at the home a good friend. They were discussing Elizabeth and Her battle with SMA. My family and I are on board to help sell the believe in miracles bracelets, so we made up flyers to post at my place of employment. and we mention Elizabeth to all are friends. May God bless you. hI THERE LIZ-BETH. I HAD SO MUCH FUN WITH YOU TONIGHT. I LOVE ALL THE COMMENTS YOU HAD TO SAY ABOUT THE FIREWORKS(WOW,WHAT'S THAT,AND MORE). I LOVE YOU SO MUCH. GOODNIGHT MY SWEET LITTLE GIRL. Hi, Your daughter is so beautiful...as all the babies with SMA are! I can't believe that life can be so cruel...yet perhaps God is trying to teach us all something. For me, I have learnt through this website to never take things for granted anymore. I pray that all will go well for Elizabeth and that she will soon be well enough to travel. You are such a wonderful and courageous mother. Hopefully, a cure will soon be found for all the babies afflicted by this terrible disease. Just checking in on all the nEW PICTURES. The quilt is so beautiful. Sorry we didn't get to see you when we came to Pontiac. Maybe next time. You are always in our prayers and love looking at new pictures. Luv ya sweetie! roses are red violets are blue i'm stuck with you like glue. Please know that all of our SMA angels are watching over you. Elizabeth and family- we are always thinking about you!! You guys are doing an amazing job.. Christen you are so young and dealing with this so well.. we love you!! elizabeth- you are a very pretty little girl!!! always remember that Chloe love you!!! Love your page...it is so well laid out. Hope Elizabeth is doing good. Give her a hug for Katelyn and I.
Elizabeth you are my heart. I hope and pray that you will get strong again and show these doctors just how strong you are! You are a fighter my girl and I hope you continue to fight. You have been through a hard time again and we all have learned from this ordeal what not to put up with from arrogant doctors who think they know you better than us!! You showed them didnt you baby girl!! You are one tough little cookie full of love. Keep shining Elizabeth you are my angel and my love! Elizabeth, we're out here praying hard for you. Hope you are doing better. Look forward to good news! Hello, I am a friend of your aunt Mindy's from Kentucky. I had never heard of SMA until I met Mindy. She told me about your site and I have been reading your story. What a brave, strong and beautiful little girl you are. I wish you the best of luck and will pray for you. Love and Prayers. Hello, I just can't tell you how impressed I am. Your determination to show the Dr.s in Chicago about Elizabeth's condition and sticking to your guns is truly inspirational. Every challenge had made this whole family stronger. I want to thank Christen for keeping us updated with Jan. events. Alli, Aaron, and even Adam pray every night for you. We love you!!!!!!!!!!! I LOVE Elizabeth's site. You guys are doing a "great job" with her. Give her Hugs from SMA Family in Oklahoma, USA!! Hi there: Just dropping by to see if there are any updates on the wee angel. Still praying and hope everything's coming around. God bless hugs from N.S. Love you and so happy to hear you are getting better . Keep them Doctors on their toes . Elizabeth - we heard you had a rough time on your return home on Friday and ended up at the hospital. We just wanted to let you know we are praying for you!! The strength that you and your family have is amazing to me. You are a very special little girl. THe web page always amazes me. What you are doing for Elizabeth is extrodinary. You are all always in my prayers. God bless her and all like her. You are all these babies gardian angels yourselves! God Bless you all!!!!!! Wishing you a sleigh full of wishes and dreams come true !!! We love you !!! Hi Elizabeth! I heard you were just at Stanford and thought I'd drop by to say "Hello Cutie!" It sounds like you're doing really well. Way to go! Hayden is recovering from his G-tube surgery and is doing great too. Let's pray for a healthy Christmas for all our SMA buddies. We are praying that you all have a good trip to the doctor . You are both in our thoughts and wrapped up with God's loving angels arms during this week . We love ya'll ! I hope you start feeling better soon. I hate winter it is hard on everyone. Prayers are coming your way. We sure are enjoying all the pictures of you that you have been emailing us . We think you are just a doll . We love ya . Keep Mommy in line ! LOL. HEY THERE OUR SWEET LITTLE ANGEL. WE ARE THANKFUL FOR YOU THIS THANKSGIVING. WE ARE SO PROUD OF HOW WELL YOU ARE DOING. WE LOVE YOU SO MUCH (MONKEY). LOVE MOM AND DAD. We hope you all have a wonderful and memorable Thanksgiving . We have so , much to be thankful for with our SMA babies . We love ya'll . Lots of kisses and hugs to Miss. Elizabeth !! Sweet little Elizbeth , hope you are feeling better soon get soem rest from your trip with the doctor. We think of you everyday . Our prayer are always with you . We hope you are feeling well . We love your new pictures . You are so , beautiful !! Hugs .. Happy Halloween Elizabeth !!! Lots of hugs to you . I saw your little Elizabeths picture on the Sma angels web site . She is a doll . Our little angel is 5 and has Sma 2 , her name is Destiny Hope . We loved Elizabeths site also . God Bless . Hi. You guys are doing a wonderful job. I am truly impressed with all this. And Elizebeth is only getting more gorgeous with every new picture I see of her. God surely knew who to send this baby to. He knew you could help her and love her the way she deserves and the way he meant for her to be on earth. She truly is one of God's angels. No doubt there! Great job. Our prayers are with her every day, Jeanna. Know that, please. You have so much going for you. You'll all be in my prayers! Hi Jeanna, for some reason all of my emails are being rejected. Here is the email I just sent which also bounced back. ~~~ I hope this email goes through. I tried to respond to your email about Aleena and Stanford, but my replies bounced back. Is Elizabeth getting any supplements now? Poly vi sol? A multivitamin, calcium, and l-glutamine are all good to start with. It's up to you where to start first. She needs about 500 mg of calcium and you do NOT want a cal/mag supplement because those are formulated for adults and you would have to give way too much mag to get enough calcium. Glutamine, make sure it is pure with nothing else in it, and start with 500 mg for a week or two, then try working up to 1000 mg or one gram. That should get you started, let me know if you have any questions. Jeanna, all my emails to you are being returned. Not sure why are what I can do about it, but I wanted you to know I'm not ignoring you. Hopefully the problem will resolve itself soon, but let me know if you have any ideas. How is your Lil'Bit today? Elizabeth, Your grandma Jeanna told me about your site and I'm so glad she did. This way, I get to "meet" you and hear your story and find out for myself why everyone thinks you're such a wonderful, pretty little girl! We will fight this disease, together. You are in our prayers, sweetie. Elizabeth is very lucky to have such a loving devoted family. I wish you luck in overcoming SMA! Christen, your baby is beautiful and you're doing a great job as a mommy! You are a beautiful baby. I saw your mommy last night and you sure seem to be the apple of her eye. I hope that you get better real soon with the clinical trials that you are going through. Christen she is sure gorgeous. I pray for the best for you and Elizabeth. Please let me know how she gets along. Hey sweetie! this is your "great" Aunt Mindy. I am so glad to make the trip for your birthday party. You looked so pretty and so happy. I don't think you know not to smile. Mommy is so lucky to have a quiet and happy baby. I am so jealous that I don't get to enjoy you daily. You would be my daily "perk-me-up." You were so fun to shop for. I hope you like your movie. I hope you still talk on the phone with your new word-of-the-day. Thanks for making my vacation worth it. Happy Birthday to you...Happy Birthday to you, Happy Birthday Dear Elizabeth...Happy Birthday to YOU! Lily and I hope you had a WONDERFUL fun filled day full of love and being spoiled ROTTEN! Happy First Birthday sweetie! Happy Birthday to my little angel.Its been a rough year and you still have done so well!! I love you with all my heart!!! Hello, I heard about your web-site from Brandy Reynolds, she is my soon-to-be siter-in-law. Your site is beautiful, hold on let me wipe the tears from my eyes. I have been through some trials and tribulations with my 3 little ones and know how hard it is to see someone you love so much suffer. I will keep your darling baby in my prayers. God Bless! Hello Elizabeth, you don't know me but i have heard about your sma from Brandy Reynolds which is my cousin. I will pray and keep on praying for you precious little angel. Hi everyone. I just wanted to let you know that we are praying hard for you. If I am correct you left for California on tues. and I am sure you are in the best hands God could place on earth for you. Always know that God's hand is the true touch of love and joy. I want to cry sometimes when I read about you or see you and think to myself "thank God my kids are healthy." But do you know what? I thank God that he puts inspiring young angels like you on earth to always touch our hearts and remind us that everyone is perfect in His eyes. All my love and prayers to all of you. Elizabeth is a cutie. Keep sending pictures. I loved looking at them. I pray for her everyday. Hope she liked the monkey book. Hi! Just want to say that we love our "sweet pea." When there is something wrong with your child, you do everything in your power to know about the problem and try to "fix-it". I give Jeanna and Christen all the praise. Their determination and family support is what we need to find SMA a cure. We pray every day and know Elizabeth is in good hands. Thanks to all those who help her. ELIZABETH IS A WONDERFUL AND BRILLIANT YOUNG GIRL AND I HOPE FOR THE BEST OF HER CONDITIONS. What a gorgeous website! Just perfect! Elizabeth is such a beautiful child. She is one month younger than my first grandchild. You are in my prayers. elizabeth, you really are everyone's little angel. we love you very much! your mommy and grandma are special angels, too, also loved very much!!! !